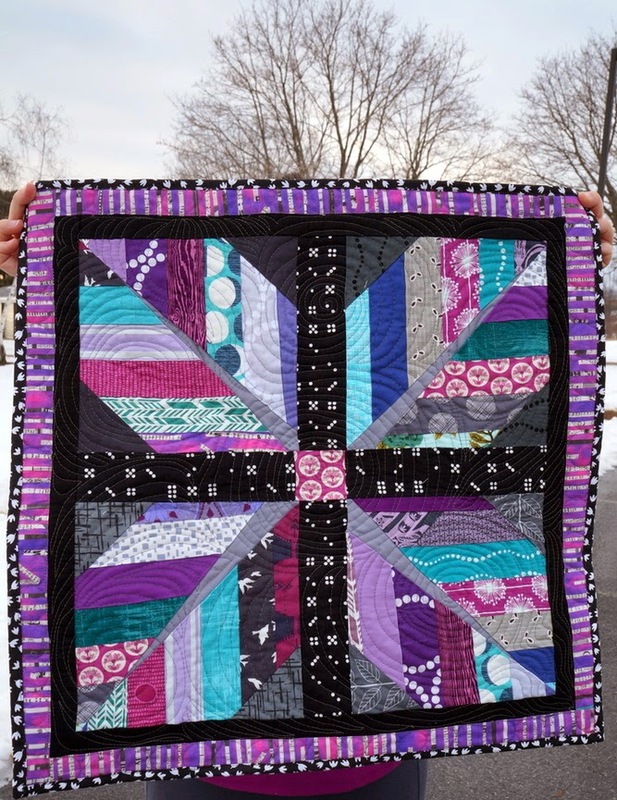 Any suggestions for those of us (me) that is participating in their first swap and do not know how to do intricate quilting? Any classes or courses you can recommend? I've only been successful at straight line quilting. Hi Mo-Ren! I can't reply to your comment via email because you are no-reply. Anyway, in addition to what Carri commented (2 comments below), there is NOTHING wrong with straight line quilting. There are many types (as Carri has listed). I suggest trying wavy quilting with your walking foot, playing with the decorative stitches on your machine if you have them, quilting straight lines evenly spaced (or not!) one after another. If you are looking to get into free motion quilting, try Angela Walter's books. She also has Craftsy classes. Christina Cameli is great, too! Also, FMQ is fun but you have to practice, practice, practice! No one becomes skilled overnight. Best of luck! Mo-Ren - I've only sent off three swaps so far and they've all had just straight line quilting. I'm a new quilter and wanted to use swaps to get some practice and try new things on a smaller scale. For my first mini, I drew lines on with a Pilot Frixion pen and used my walking foot to quilt straight on the lines. I did turns and angles to make it a little more interesting, but still just straight stitching. Since them, I've used my walking foot to also do organic wavy lines as well as some curved quilting lines. I don't think you need to feel like straight line quilting isn't good enough! You have a great list here. For me, frequent and clear communication are so beneficial. I look forward to seeing how others respond or add to the suggestions here in the comments. P.S. Hand quilting rocks, too! Great tips! I love the last line: go forth and make things for other people. My house would be bursting at the seams if other people didn't take some of it. 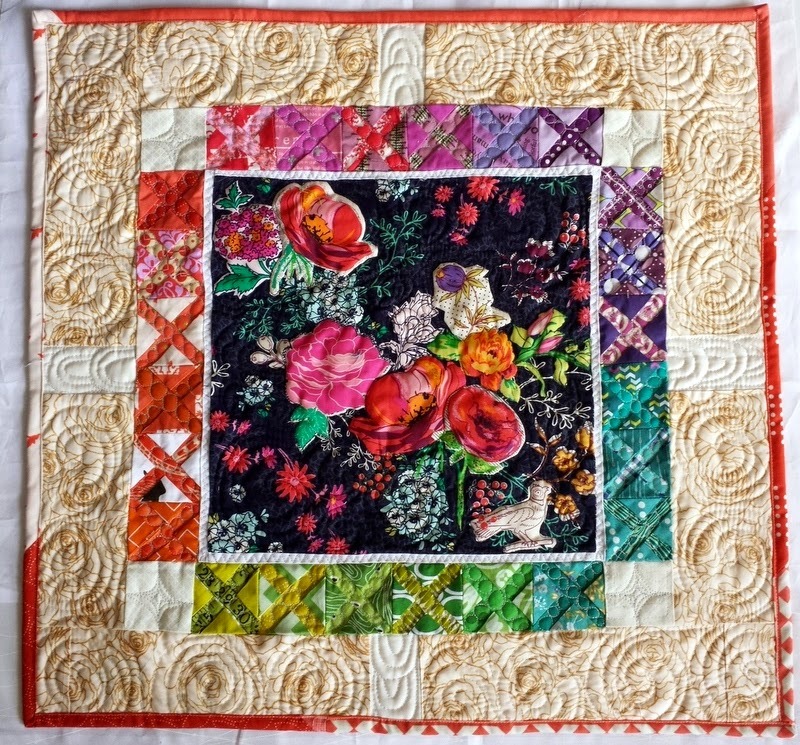 I have been guilty of not including a note because I learned that I could squeeze in an extra block but not a block and a note without hitting the next international postage rate. Notes go by email! I have a much less positive list running in my head... :D Soooo many of these are neglected, overlooked, forgotten. The horror stories Jo and I could tell.... My biggest advice to add to this: Act like an adult. The amount of childish behavior is astonishing. And personally, after moderating a swap, I will never join another. I've seen the 'seedy underbelly' and don't want any part of it. Not that all swaps are terrible, or all experiences negative, just for me, it's not worth it. It was a good experience though. Great tips! I love to read the note included and have had such lovely cards - nice to make the extra effort and it makes me look forward to my turn as Queen Bee even more! There are some very good points here Jessica . My quilting tends to the simple and I worry about thst , I tend to think stick to what I do best . My swaps and bees have been positive , up to now ! Great tips. For me the label on the quilt means so much! Even more than a card or extras. I have received two swap quilts with no labels and one where there is a "label" written lightly in pen on the very busy background fabric - I looked at the quilt many times before I saw it! Wondering if you think it would be ok for me to make a label and send it to the maker(s) for a signature? I think its so important to document our work.